Burtron H. “Burt” Davis, a University of Kentucky Center for Applied Energy Research investigator and one of the most revered Fischer-Tropsch synthesis researchers in the world, passed away Friday, September 28 in Lexington, Kentucky. Service details can be found here: http://www.johnsonsfuneralhome.com/book-of-memories/3619109/Davis-Burtron/obituary.php. Born in Points, West Virginia, Dr. Davis graduated with a bachelor’s degree in chemistry from West Virginia University in 1959 before earning a master’s degree from St. Joseph’s College in Philadelphia. Davis received a PhD from the University of Florida in 1965, followed by a postdoctoral position under Paul Emmett at Johns Hopkins from 1965-66. 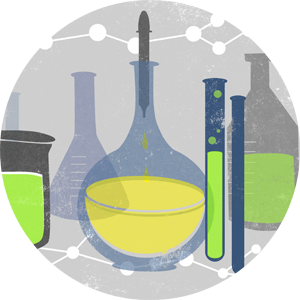 He then accepted a position for Mobil R&D Corporation, where he conducted research on naphtha reforming and aromatics hydrogenation. In 1970, he received his first academic appointment as Associate Professor of Chemistry at Potomac State College in West Virginia. Dr. Davis was recruited to UK CAER in 1982, helping to establish the Center as one of the foremost energy research and development institutes in the nation. He has led the Center’s Clean Fuels and Chemical (CFC) group since its inception, and established the University as global experts in catalysis, FT, and direct coal liquefaction. He also served as Interim Director for UK CAER and was an adjunct faculty member in UK’s Department of Chemistry. Dr. Davis created a unique program at UK CAER that involved both academic and industry-supported work. He developed a laboratory with extensive capability in the use of tracer isotopes in reaction mechanism studies and materials characterization, and developed research programs in: Fischer-Tropsch Synthesis, surface science studies, heterogeneous catalysis, materials science, organic analysis, 1/4 ton per day direct coal liquefaction pilot plant operation, liquefaction mechanistic studies, clean gasoline reforming with superacid catalysts, and upgrading naphthas. He held numerous offices and memberships in several professional societies, including the American Chemical Society (ACS), the Catalysis Society, and Materials Research Society. He has authored/coauthored over 850 publications and has received four Elsevier most-cited author awards. He served as a member of the Sasol Heterogeneous Catalysis Advisory Board for ten years. 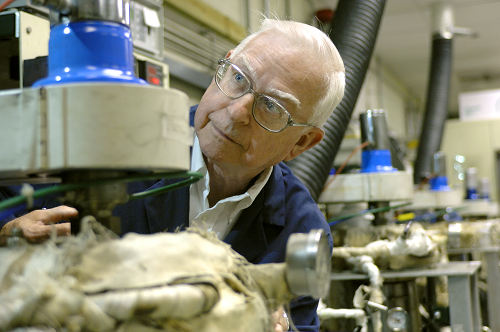 Dr. Davis was awarded the prestigious Henry H. Storch Award in Fuel Science in 2002 by ACS for his significant contributions in catalysis, Fischer−Tropsch synthesis, and coal conversion research. In 2011, Dr. Davis became an ACS Fellow. In 2014, was presented the “Distinguished West Virginian Award” by then-Governor Earl Ray Tomblin. In July of this year, Dr. Davis received a citation of appreciation from the Kentucky House of Representatives, nothing his “invaluable knowledge and expertise in the interest of the greater good” of the Commonwealth of Kentucky.